In what appears to be a growing trend of letter writing by groups of soldiers regarding pressing social issues, a letter was published last week by a group of IDF combat soldiers from an unnamed unit, claiming that they "have nothing to eat" when they return home from their bases. The letter was addressed to IDF Chief of Staff Lt. Gen. Benny Gantz, Defense Minister Moshe Ya'alon and Prime Minister Benjamin Netanyahu, and asked for extra financial support for combat soldiers in need. The IDF responded by stating that they put incredible resources at the disposal of the human resource officers in each unit. An IDF official also stated that, "We are aware of the problem of hungry soldiers in the IDF." According to the official, more than NIS 100 million ($27.3 million) is spent each year on family benefit payments for soldiers. In addition, more than NIS 300 million ($82 million) is spent to improve conditions for soldiers doing their mandatory service. NIS 10 million ($2.7 million) is used to send food parcels to soldiers, another NIS 6 million ($1.6 million) worth of vouchers are given to soldiers without requiring any formal procedures and more than NIS 6 million ($1.6 million) is put toward holiday gift vouchers for soldiers. The group of soldiers wrote in their letter that due to Operation Brothers Keeper and Operation Protective Edge, they were unable to go home to work during the summer months as they did not receive leave from the military. Thus, they were unable to help their families earn more income as they usually do. The IDF official responded to this part of the letter by stating: "All the lone soldiers who fought in Operation Protective Edge received family benefit payments. We extended the eligibility for this benefit to them so that the operation wouldn't impact them financially." "We passed along the necessary permit for additional aid to the company commanders and battalion commanders and they responded as needed," he told Israeli press sources. Another critique by the soldiers commented on the low overall salary of soldiers in the military. "Because the military salary does not even provide for our most basic necessities, we have all become beggars since being recruited to the IDF - we have debts at the bank and everywhere else. Instead of resting after grueling training exercises, we have no choice but to work in stressful jobs to pay debts or to help our parents with the extra 300 shekels per month we earn in the military," it read. Karmey Chessed, an organization that helps provide IDF soldiers who are having financial difficulties with basics such as food, furniture, clothing and even monetary gifts, has been aware of the problem voiced in the letter and has been working to combat it for quite some time. "Everyday we get calls from people all over the country asking for financial assistance, or to help them purchase everyday household necessities or appliances. We try to help everyone, but the volume of cases we need to deal with is immense. 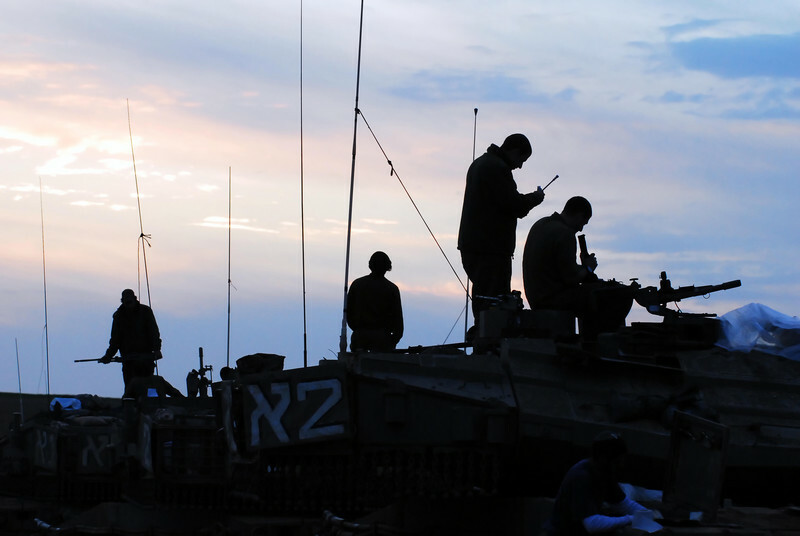 Many of those who contact us asking for help are soldiers or the families of soldiers," said Aryeh Weingarten, Director of Karmey Chessed, to Breaking Israel News. "Some of our donors even ask why the government doesn't do more and why they leave it up to organizations like us to help out the soldiers. While we cannot answer for the government, we will do everything we can to help everyone who contacts us asking for help," he said. Meanwhile, the IDF Spokespersons Office issued a statement saying, "The IDF views dealing with individual [soldiers'] problems as a top priority. Every personal problem faced by a soldier is dealt with and will continue to be dealt with by the human resources officials in each division." "The IDF provides a wide range of solutions for those facing financial troubles, including hundreds of shekels given as holiday gifts to eligible soldiers, tens of thousands of shekels given to commanders to distribute to combat soldiers in need and grants of up to 3,000 shekels [$820] for combat soldiers in need of financial assistance." "If these soldiers approach their commanders or officers, their issues will be looked into and dealt with accordingly. The IDF is working toward raising the salary of soldiers doing mandatory service beginning in 2015, which will require adequate legislation and budgeting," the statement read.